In many ways, the internet has made our lives easier (and much more complicated, but that’s another story altogether). We can get the latest news, compare grocery prices and even diagnose an illness with relative ease. Considering all the advantages, why are people still hiring real estate agents to sell their house? What do they bring to the table? Why can’t you just list your property for sale online and wait for the hundreds of imaginary eager buyers to come knocking on your door? We’re not saying real estate agents have buyers standing by for homes that are put up for sale. However, agents do have existing lists of clients which may include property investors and flippers. Further, they may also have regular buyers who are looking for properties in specific locations or of particular size and cost. Obviously, an agency’s length of time in the business and size of its portfolio will determine the size of its list. Regardless, your house could be exposed to a number of highly targeted potential buyers. Neighbourhood real estate agencies, owing to their familiarity with the local market, are usually capable of delivering very accurate property valuations. They often know, to a house, the price of all property sold in the area, so they have a really good feel of how much people are willing to sell or buy properties. This is very useful particularly to people who want to make a fast home sale. They are also very familiar with value added features such as public infrastructure and amenities. Agents are also the first to detect trends and can direct their clients to focus on specific properties in specific areas. In fact, many property investors work hand in hand with seasoned agents to spot pricing inefficiencies and market opportunities. 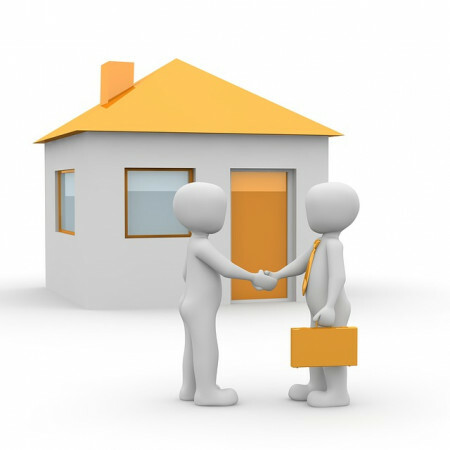 Even registered surveyors occasionally seek the advice of agents when performing due diligence for property valuations. Yes, you can list a property for sale on online marketplaces all by yourself. But can you announce the listing to thousands of followers on the social media? Do you have a mailing list of buyers and potential buyers you can send the details to? Do you have the pulling power of an established brand name? Do you get substantial media buys discounts when advertising in newspapers or magazines? Essentially, your listing will depend on a heavy dose of luck. And while you’re waiting for Lady Luck to look in your direction, the listings made by property agents would have already been seen by thousands or tens of thousands within a couple of days of listing. Many house owners have horrors stories relating to viewings. Not everyone who wants to view a house is a potential buyer. You don’t want to waste your time with viewers who can’t afford your place. You certainly don’t want to welcome rude or weird strangers into your home. And obviously, you don’t want to give thieves a chance to scope the inside of your house. When viewings are handled by real estate agents, they are quite meticulous with their vetting. After all, agents work on commission – they aren’t going to waste their time on riff raffs. They will weed out the time wasters and dodgy-looking characters, and make certain the people who are going to view your property are serious buyers.